Since 1935 the Fur Rendezvous winter festival or Fur Rondy has taken place in Anchorage. Over the years the event has transformed itself from a weekend of winter events to 10 days of events. Some of the events remain but other events like Outhouse Races, Running of the Reindeer and a carnival have also joined the event. 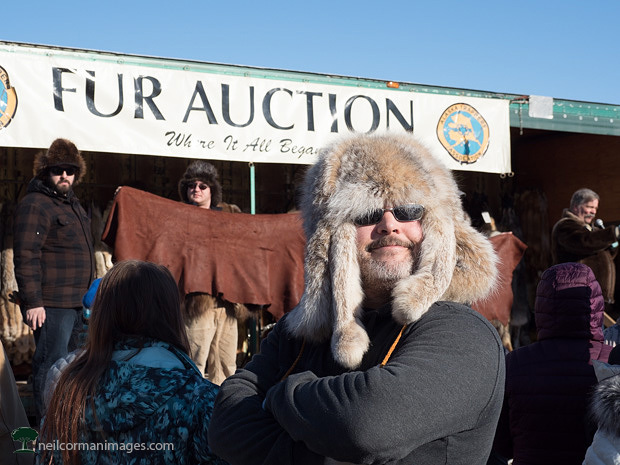 The original staple still remains as since 1935 trappers will head to Anchorage to sell their goods and the audience comes prepared for the outdoor auction in their favorite furs as well and of course looking for their next purchase. 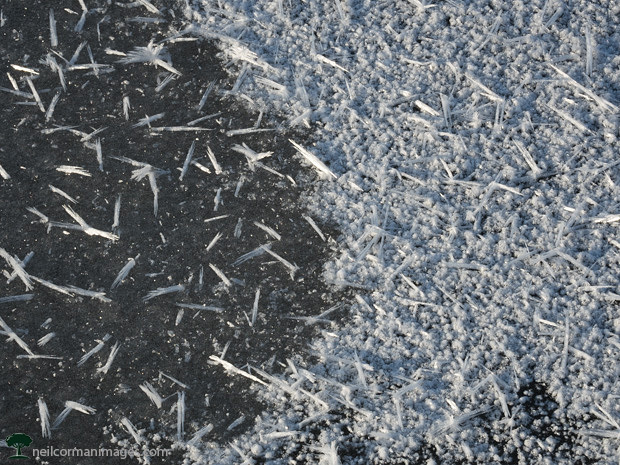 Walking along the side of Mendenhall Lake on a winter day there were patterns in the ice which drew my attention. This image is the end of the ice with the lake below. The contrast of the light of the ice and the darkness of the lake was caught by the camera as a metered to allow this to happen. 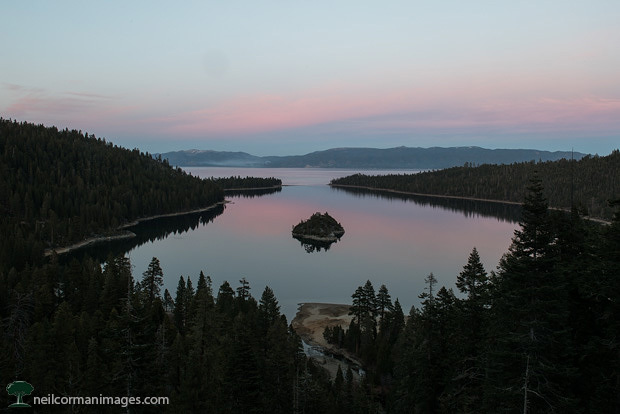 Lake Tahoe is a beautiful location and one of the most popular places to visit and photograph is Emerald Bay. On one trip I headed out there at sunset to capture the scene which brought a little of pink to the sky on this end of the day. As this was February, the water levels were a little lower than I have seen in the most when visiting the lake and is quite noticeable in this image as well. Mendenhall Glacier is one of the tourist destinations in Juneau. During the winter the area takes on a different look as depending on the temperature the lake can be frozen, or the glacier can be covered in fresh snow. On this day both of these instances were in place. With some snow a few days earlier the glacier still snow covered and the lake was mostly frozen. There were places where it was a little slushy and we later found out that on the day that this was taken someone did indeed break through the ice. 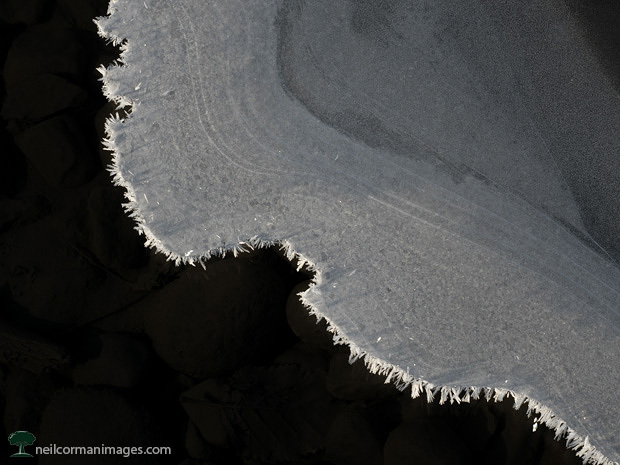 The large piece of ice caught my attention here which is really hard to put into perspective without scale in this image, but it was quite significant. When in Alaska I made to a trip to Kodiak and went on a floatplane trip to Frazer Lake. Upon landing at Frazer Lake we walked about a half mile to the falls and quickly a couple of bears arrived to go “fishing” in the area. About 30 minutes later a group of three bears arrived with the cubs playing in the river more so then worrying about grabbing a treat. This was a different and fun experience, if you are ever in Kodiak check out Kingfisher Aviation. Standing on Mendenhall Lake recently I looked down at the fresh snow on the lake which was frozen in my area. 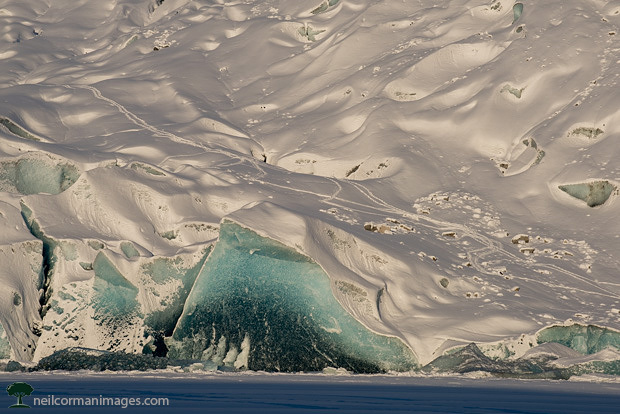 I have noticed over the past winters when in Juneau the different shape the snow takes which you can see on the ice itself in this image. As the coverage of snow varied I used this to build negative and positive space in the image created. It was a peaceful morning on the first day of 2017 in Juneau. I headed out to photograph sunrise which was a little before 9am. With some clouds in the southeastern sky it added some color over Sandy Beach and the old pumphouse. Originally I was hoping to a higher tide to be there this morning, however the open beach works in this image for me as well as you see and imagine the history of Treadwell. 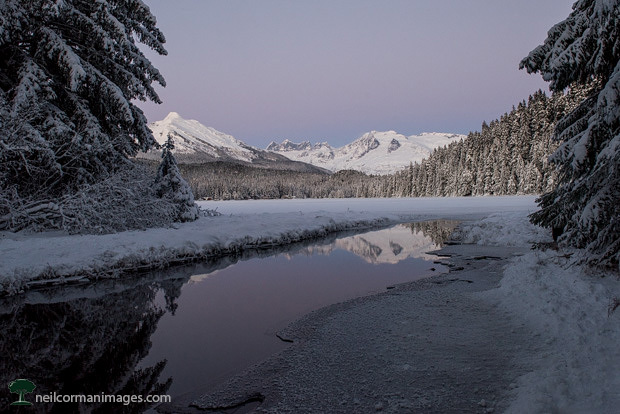 Driving ‘Out the Road’ north of Juneau I stopped at the Eagle River as I caught the low sunlight around noon on a clear winter day. 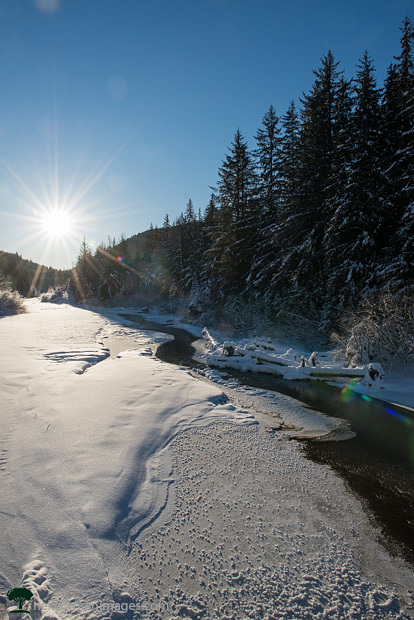 With the recent snow and cold part of this river was iced over however the water still continued to flow towards the Lynn Canal. For me the river leads to the sunlight in this midday image bringing the two elements together. 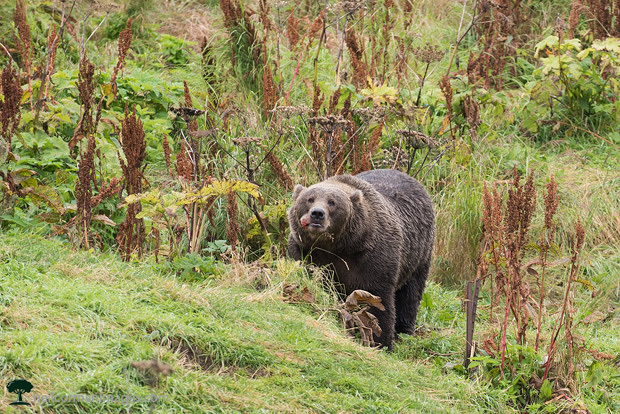 This year I started out in Juneau, Alaska. I headed out to photograph sunrise and sunset which both brought plenty of color. 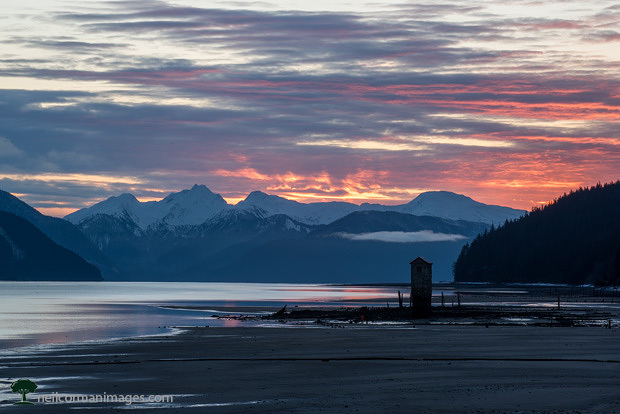 For sunset I was at Auke Bay when I started to notice the color starting to appear in the sky. 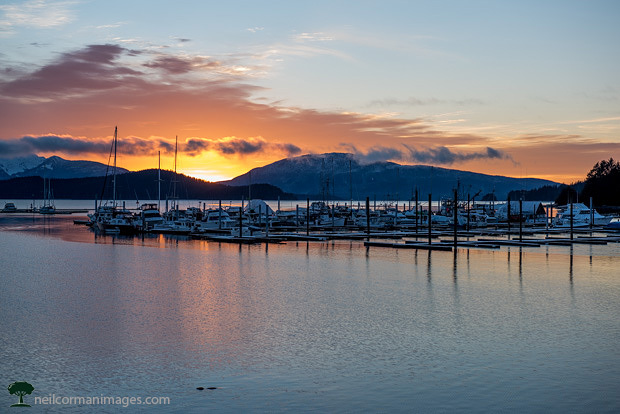 I found a good spot near Statter Harbor and watched the sunset for the evening. Plenty of people stopped by this location to capture the sunset using smart phones to large cameras. Towards the bottom of the image you can see a little bit of a harbor seal which was enjoying swimming in front of us this evening as well. Fresh snow had fallen throughout Juneau earlier in the week and cold weather and clear skies soon followed for a number of days. Taking advantage of these conditions I headed out to photograph around the area. In the middle of winter this is really only about seven hours but with the low light it is easy to take advantage of all that time quite quickly. Stopping by Auke Lake on the way back into the downtown area was more so a chance stop at the right time as some color filled the skies over Mendenhall Glacier in the distance.